Be sure to read the manufacturer’s instruction manual to be aware of special precautions specific to your machine. The OdorKlenz Washing Machine Deodorizer is HE friendly. Remove clothing or excess debris from beneath the agitator or in the rubber gasket. 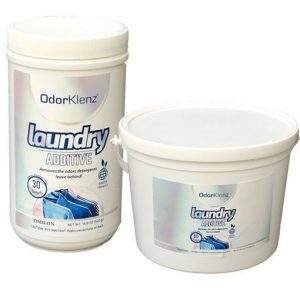 Shake the jug of OdorKlenz Washing Machine Deodorizer vigorously to unsettle minerals and ensure even distribution of the product. Pour ½ cup of deodorizer into the dispenser or directly into the drum. Run a normal, warm water cycle (refer to the manual for maintenance cycles). Breathe in that odor-free air! We may not think of it this way, but the fabrics in our lives say a lot about us. Your clothing tells the world around us something about your personality – are you laid back, glammed up, ambivalent to fashion altogether? Do you prefer classic pieces or bold patterns and prints? Likewise, your linens say something, too – when guests come to visit are they greeted with soft, fresh sheets and blankets and warm, odor-free towels or are they tossed a sleeping bag on the couch? Your friends will love you either way, but maybe give them a heads up about the sheets! 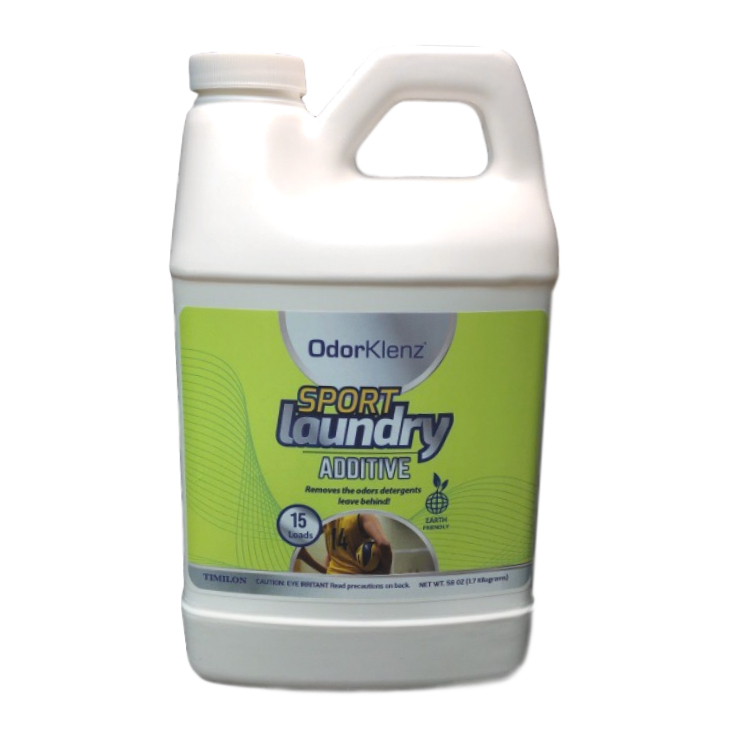 The OdorKlenz Laundry Additive Powder offers complete protection against all kinds of stinky presentations. 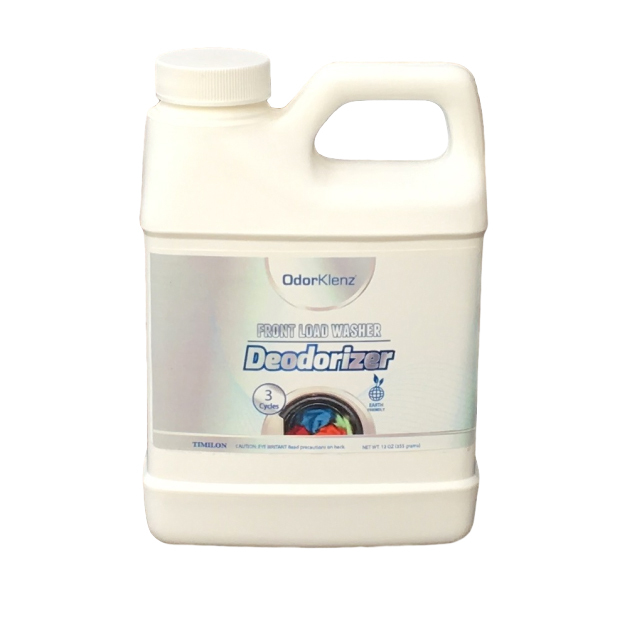 Our proprietary formula relies on natural minerals to combat odors at a molecular level. 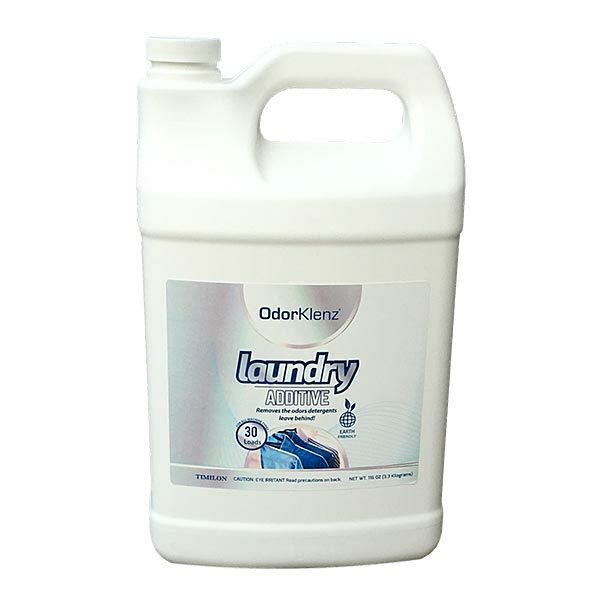 It is a tough and comprehensive odor eliminator, but it is also perfectly safe to use on all kinds of fabrics – anything you would throw into the wash regularly – yet it is also gentle enough to use on materials you can only wash by hand.